Bhagyashree and Anuj had a beautiful big fat Indian wedding at J.W Marriott Mussoorie. While the decor, ambience and fun was everything that it should be, one thing stood apart from the rest - her mehndi look! 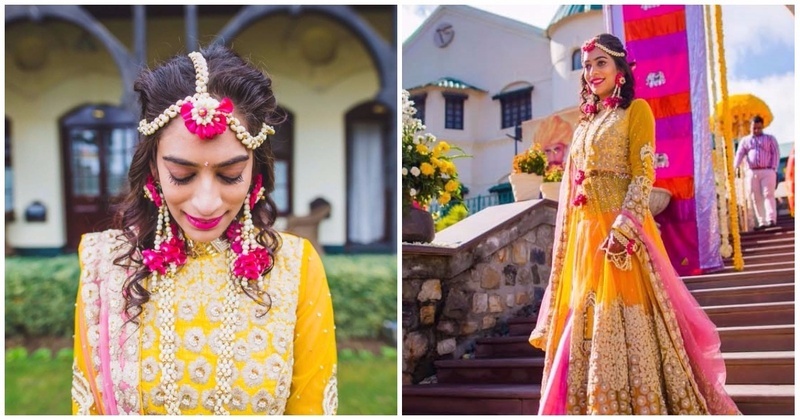 Right from the bright lehenga colour and stunning embroidery to the floral jewellery and subtle make-up, each element was pieced together perfectly to create a gorgeous look that’s ideal for a wedding mehndi. The team at Shutterdown photography made sure each moment was brought to life brilliantly! Her pink wedding lehenga was also quite beautiful but we are still in love with the mehndi look!